In some areas there are programs relating to alcohol and driving, operating in cooperation with the courts. These programs, known as Traffic offenders intervention program (Traffic Offenders Intervention Program Register), are usually run by local organisations such as the Police Citizens Youth Club (PCYC) or a community health service or by individuals in the community. The programs are designed to provide those charged with an educative and informative series of lectures on the legal, health and driving effects of alcohol to ensure future compliance with the law. Attendance at these schemes is usually certified in writing, providing a document to hand up to the magistrate. Some programs require the completion of written assignments and exams that then form the basis of the documentation handed up to the magistrate. The schemes are operated in cooperation with the court and successful completion will usually result in a lower penalty and/or period of licence disqualification. If there is a program that you can attend you should enrol as soon as possible. Attendance at the course may require an adjournment. Information about obtaining an adjournment is provided in The day of court. As mentioned in The penalty, a magistrate may order that you attend the Sober Driver Program as part of your penalty or you may be referred by a supervising Probation and Parole Officer. This nine week program, run by the Community Offenders Service, Probation and Parole Office, is specifically designed to educate repeat offenders, that is, offenders who have been convicted of more than one alcohol related driving offence within a five year period. 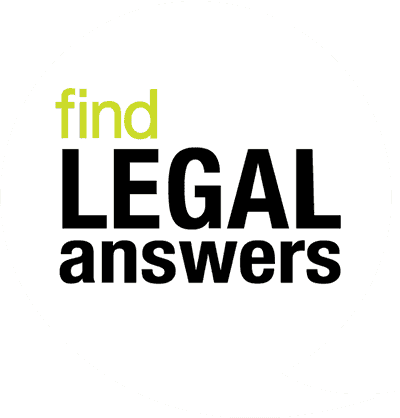 If you are appearing for a second or subsequent alcohol related driving offence within a five-year period you should seek legal advice as noted in Do I need a lawyer?. New mandatory alcohol interlock laws from 1 February 2015. Do not argue with the magistrate. Some magistrates are rude and offensive. Most are pleasant, will listen and make considered judgements. It is simply not worth arguing with the magistrate if they make a decision that you do not like. If they have made a decision that is demonstrably harsh or wrong you can appeal. The worst thing to do is to dispute their decision, in the face of the court, as it can lead to a tougher penalty. Regrettably, this does happen. The magistrate is about to make a decision and says, "Well, I'm going to disqualify you for three months..." when the defendant leaps up and says, in an unfriendly tone, "You can't do that!" Inevitably this leads to a longer period of disqualification and a heavier fine. Should you choose to drive during a period of disqualification you are certainly playing with your liberty. The courts treat this offence most seriously, pointing out that it involves a deliberate and flagrant breach of a previous court order. Some magistrates take the view that such offenders should automatically go to prison, unless there is some extraordinary factor in their favour. You will certainly lose your licence for a further lengthy period of time, at least 12 months. Any further disqualification period will be added to the original period of disqualification. On many renewal forms and most initial forms you are required to inform the insurance company of any convictions. A failure to declare these will result in a lack of coverage. As mentioned earlier, if you are dismissed or discharged pursuant to section 10 you can safely answer "no" to requests for information as to whether you have a criminal record. You do not automatically get your licence back at the end of the disqualification period. You must apply for a new licence. Driving after the expiration of your disqualification period and before you have renewed your licence is an offence. About one week before the expiration of your disqualification period you should go to the Roads and Traffic Authority and find out what is required to have your licence re-issued. Between most States there are now working agreements so that all States are notified of a disqualification offence. What this means is that if you hold an interstate licence the authorities in that State will soon be contacting you about its suspension or invalidation for the disqualification period. Whilst it may have once been possible to slip across the border and obtain a Victorian or Queensland licence to avoid the effects of a period of disqualification, it is certainly not possible now. If you are convicted of three offences within a five year period you are considered to be a "habitual traffic offender" which results in the automatic disqualification for a period of five years. The period of disqualification may be reduced by the court to two years or it may be extended to "life". The offences to which this applies include: all PCA offences, exceeding speed limit by more than 45km per hour, unlicensed driving where never previously licensed, driving whilst disqualified, suspended or cancelled. If you receive notification from the Roads and Traffic Authority that you are to be declared to be a Habitual Traffic Offender you should contact an experienced criminal lawyer immediately.